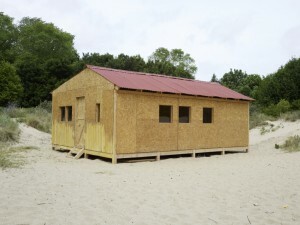 The Triennial of Contemporary Art by the Sea is known for its monumental installations and works of art embedded in the biotope of the Belgian coastline. The Triennial of Contemporary Art by the Sea takes place the coastal municipalities De Panne – Koksijde/Oostduinkerke – Nieuwpoort – Middelkerke/Westende – Ostend – Bredene – De Haan/Wenduine – Blankenberge – Zeebrugge. From the past editions many works of art permanently stayed on the coast. Some of them can be found at the location where they were initially installed, others were moved to a new place in the meantime. Kasper König will address new institutional models and exhibition sites outside the traditional gallery, through the lens and history of Skulptur Projekte Münster. Lecture by Kasper König during Beaufort Triennial. The exhibition Beyond Borders can be perceived as a communal space where we can learn about the ambition, involvement, responsibility and allure of an artwork, poem, film, performance and piece of music. In other words, about us. Beaufort Triennale 2015: Participating Artists. The fifth edition of Beaufort entitled ‘Beyond Borders’ continues to build upon the tradition of art in the public space from the previous editions, but also makes a firm choice for change and innovation. Beaufort Triennale 2015: Beyond Borders. In 2015 Beaufort continues to build upon the triennial’s tradition of art in the public space at the Belgian coast, but also makes a firm choice for change and innovation. Beaufort Triennial 2015: Theme and Artists Announced. 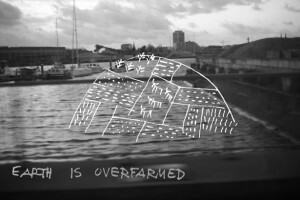 Beaufort04 is the fourth edition of the Triennial of Contemporary Art by the Sea in 2012. It takes place in 30 locations, spread over the 9 coastal municipalities. Beaufort 2012: Triennial of Contemporary Art by the Sea.